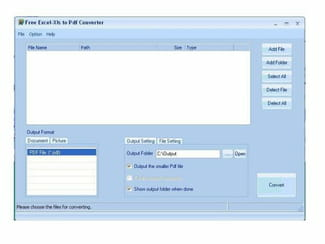 Free Excel-to-PDF Converter allows you to easily convert your Excel files to PDF documents. Whether you choose to convert your files one-by-one or in batches, your file will retain its layout. The software can support a wide range of formats, like XLS, XLSX, TXT, HTM, and even HTML. Latest update on January 7, 2018 at 04:14 PM.